This level is little hard and have 18 jellies in last two rows with 9 jellies in meringue blocks plus 6 in grill and 3 in chocolates. You need to be little tricky and try to first break all blockers and time bombs that might need to you to make special candies and break them or play from bottom part of the board. 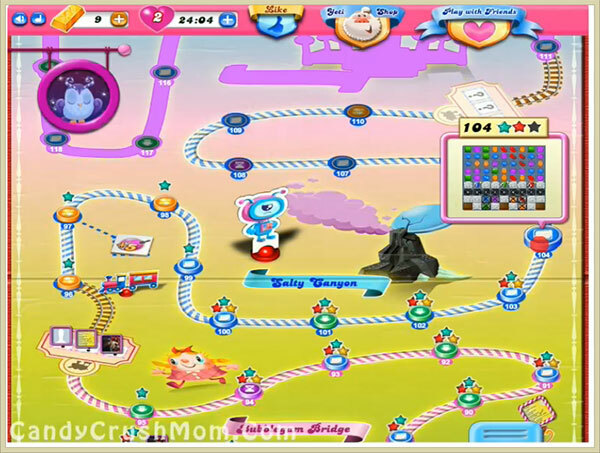 You should try to combine special candies to each other like colorbomb with striped candy to reach requirement before all levels. We completed this level with 249800 score with few moves and remaining 24 moves give free bonus fish booster that help to complete this level with three star score.